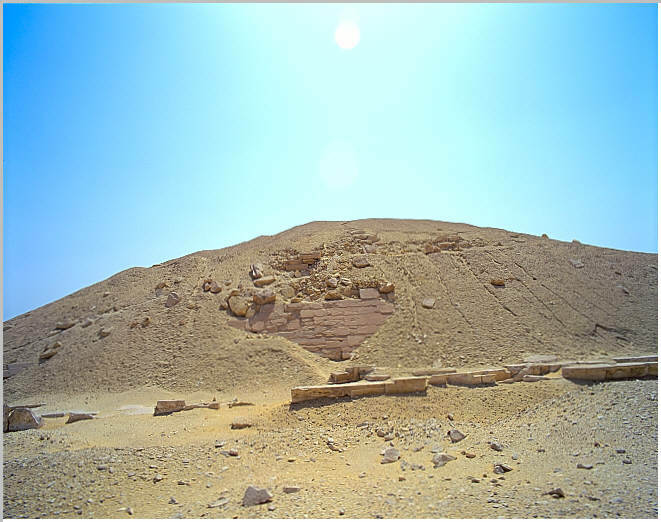 A view of Senwosret I's pyramid south face. Some of the original fine limestone is still in situ. 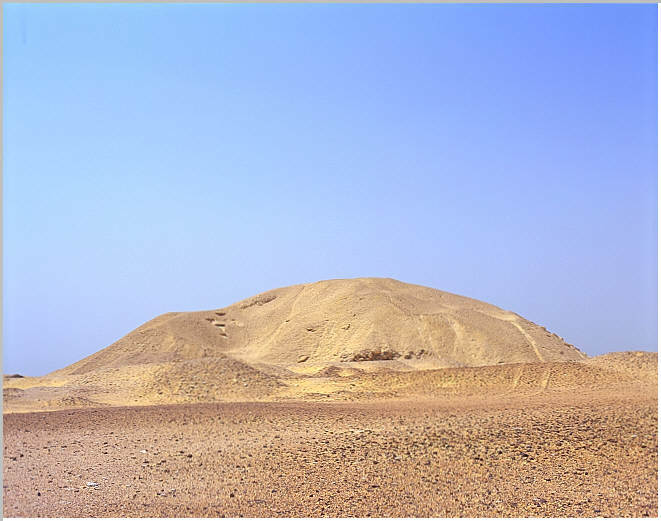 The ruins of one the queen's pyramids can be seen in the middle ground. 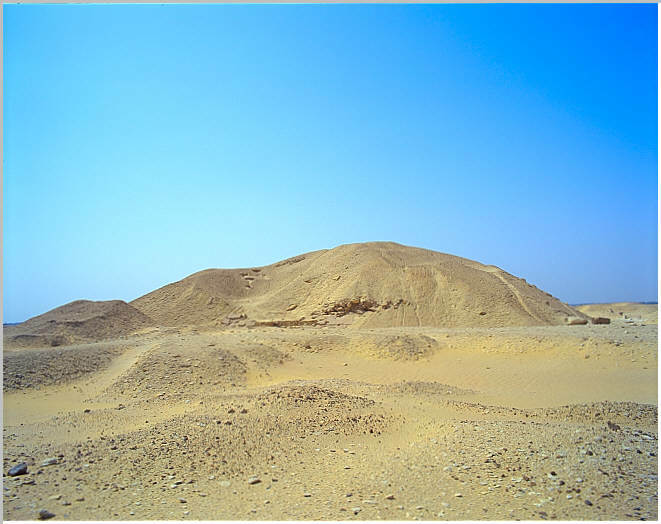 Another view of Senwosret I's pyramid north face.